Nasser Saleh Al-Attiyah will be aiming to match one of the longest-standing records in world motor sport when he heads an international field of competitors from eight nations into Kuwait’s exciting return to the FIA Middle East Rally Championship (MERC) at Kuwait Motor Town on Thursday afternoon. While the State of Kuwait celebrates its own milestone of hosting a first international FIA-sanctioned event at its new FIA grade one race circuit facility, south of Kuwait City, Al-Attiyah is focusing on claiming outright victory in the three-day event with his Autotek-run Ford Fiesta R5. This result would net the Qatari a record-equalling 14th regional rally title and put him alongside Dubai’s Mohammed Ben Sulayem in the history books. Al-Attiyah will also be chasing his 68th MERC win, while victory for navigator Matthieu Baumel would be his 17th in MERC history and would move the Frenchman ahead of John Spiller into equal third in the regional Hall of Fame behind Ronan Morgan (41 wins) and a tying Giovanni Bernacchini and Chris Patterson (25 wins apiece). 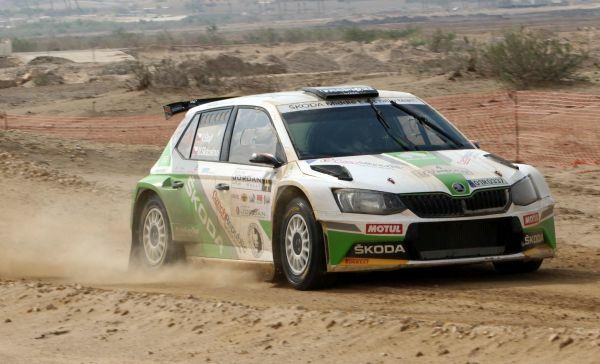 Czech driver Vojtĕch Štajf is attempting to become the first Arab driver ever to win the regional rally series and Ladislav Kučera has replaced Markéta Skácelová as his navigator in the Škoda Fabia R5. Štajf trails Al-Attiyah by 32 points in the title race after rallies in Jordan, Lebanon and Cyprus, but there are two rounds to go and a possible 39 points available to the winner of each race with 30 potentially on offer to the Czech if he can shadow his Qatari rival to the finish and complete all the special stages. 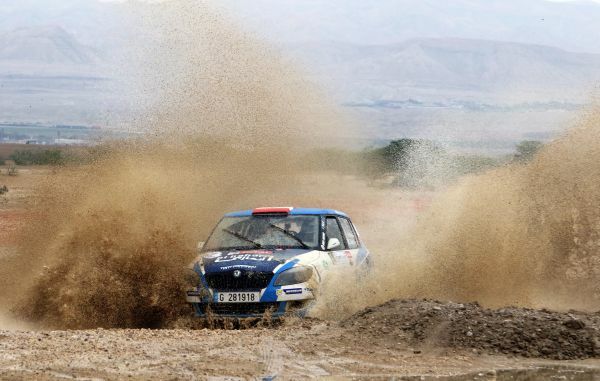 That would not be sufficient for Štajf to prevent Al-Attiyah from retaining the title, however, and Al-Attiyah’s challenger will need to push hard over the opening stages to try and gain the upper hand on leg one. Local driver Meshari Al-Thefiri stands on the verge of claiming another showroom title with Qatari navigator Nasser Al-Kuwari, but competition is sure to be fierce from a host of Jordanian, Omani, Qatari and Kuwaiti rivals. Khaled Juma leads the way for the Hashemite Kingdom and still has a chance to win the title, while fellow countrymen Ihab Al-Shorafa and Shadi Shaban will be challenging hard. Abdullah Al-Rawahi flies the flag in the category for the Sultanate of Oman and there are further Group N entries for Qatar’s Nasser Khalifa Al-Attiyah and Rashed Al-Nuami and Kuwaiti drivers Jassim Al-Muqahwi, Mubarak Al-Thefiri and Fahad Al-Mutairi. Nasser Khalifa Al-Attiyah returns to active competition after a long absence working in a senior role within both the Qatar Motor and Motorcycle Federation and the FIA. He teams up with the experienced Italian navigator Nicola Arena, who won the regional title with the late Misfer Al-Marri in 2010. 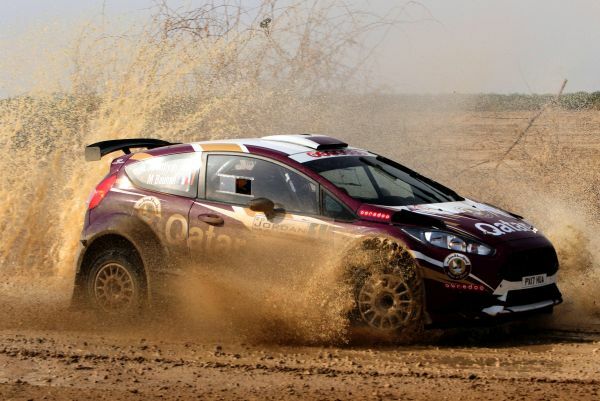 Al-Attiyah got to grips with a rally car again at a recent test session in Lebanon and aired his rally car in the desert close to Kuwait Motor Town on Wednesday afternoon. He will be hoping to finish on his return to the MERC – a series he came within a whisker of winning outright back in 1993. Lebanon’s Henry Kahy needs to stay out of trouble and cross the finish line to confirm the MERC 3 title for two-wheel drive cars with Jordanian navigator Musa Djiyerian also eager to clinch the MERC 3 Co-Drivers’ Championship. This year’s event is being organised by the Basil Salem Al-Sabah Motor Racing Club (BMRC) under the chairmanship of Sheikh Athbi Nayef Jaber Al-Ahmad Al-Sabah and in conjunction with the General Authority for Sport and the Kuwait International Automobile Club (KIAC). Zain Kuwait is the main sponsor on this occasion. 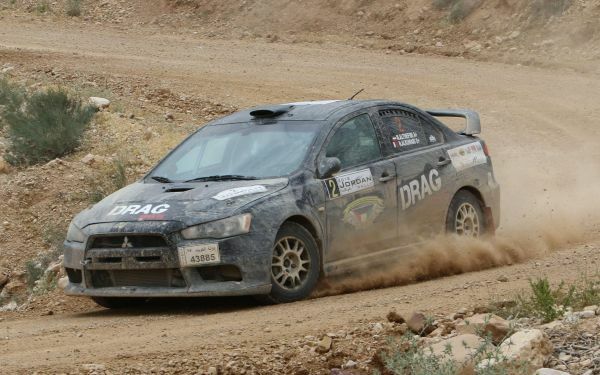 Action gets underway with a timed special stage of 2.3km at Kuwait Motor Town Race Circuit from 16.00hrs on Thursday afternoon, but the desert action is split into two loops of six different loose surface stages on Friday and Saturday. In a total route of 587.80km, 198.62km will be timed against the clock.